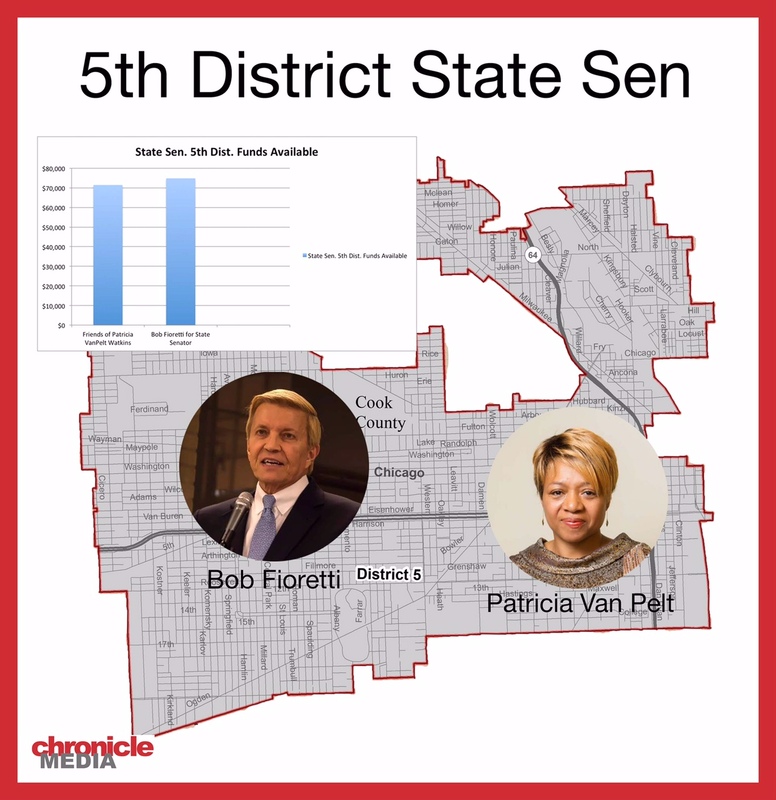 Both State Sen. 5th District candidates Patricia Van Pelt and Bob Fioretti have run (unsuccessfully) for mayor of Chicago. Both have gained the respect of voters in the richest and poorest parts of the city. 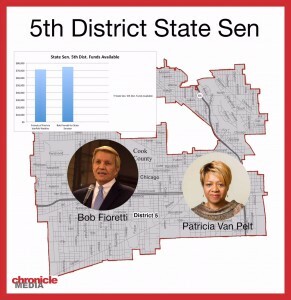 They used to be friends: Fioretti backed Van Pelt when she ran for her second term as State Senator in 2014. But the friendship is strained and now the two are attacking each other with negative campaign messages. Fioretti claims Van Pelt is a do-nothing legislator whose involvement in multi-level marketing businesses is unethical. Van Pelt says Fioretti is too argumentative to be effective in politics. Fioretti set his sights on Springfield after a career as a survivor in the Chicago City Council. As 2nd-Ward Alderman, Fioretti, now 62, defeated a 2013 re-map he said was designed specifically to unseat him. “It was a 76-percent African-American ward, and people saw what I did and how I fought for them, bringing 8,500 jobs to the West Side,” Fioretti said. In 2014 Fioretti threw in his hat for what he thought was a three-way mayoral election against incumbent Rahm Emanuel and Chicago Teachers Union President Karen Lewis. But Lewis withdrew and Fioretti, leader of the City Council’s Progressive Caucus found himself outflanked in progressive clout by Cook County Commissioner Jesus “Chuy” Garcia. As for Van Pelt, she overcame a tough childhood in the Cabrini Green housing project and an early adulthood of drug addiction. She went on to work as a steel worker, get a CPA degree from DePaul University, attain a doctorate and became a Pentecostal minister. Van Pelt ran for Chicago mayor in 2011 and finished fifth out of six candidates. Van Pelt said she’s proud of legislation proposed to keep police complaint records from being destroyed after several years and strengthening FOIA laws so police videos are made available to the public. Fioretti said he supported Van Pelt when she ran against Annazette Collins in 2011. But he thinks she has not been effective in Springfield. Van Pelt says she cut ties with 5Linx last July, giving up “$16,000 a month in residuals” and the Bentley. She said she started up with Utah-based Ariix, another multi-level group that sells supplements, superfoods, fruit juices and vitamins. “It’s like Amway, Avon or Mary Kay,” Van Pelt said. Van Pelt has $71,480 cash-on-hand. Ariix donated more than $10,000 to her campaign last fall. But Fioretti says he’s alarmed by more than $30,000 spent on mailers on Van Pelt’s behalf by Illinois GO SuperPAC. Van Pelt said she’s sending out several fliers and Illinois GO has sent out two. Van Pelt says Fioretti’s weakness as a lawmaker is that he doesn’t play well with others. “All my legislation I’ve passed has been strongly bipartisan,” Van Pelt said. Fioretti said he’s not running because he lost his job as Chicago alderman. Fioretti’s campaign committee has $74,874.84 on hand. The candidate lent himself $50,000 in February.